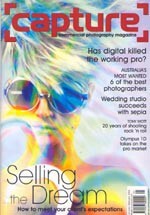 [Capture] commercial photography magazine is the new title for Commercial Photography. Already wellknown for its incisive features and strong visual appeal, the magazine continues to be an essential readfor the professional photographer. Its popular Digital Studio section ensures photographers are keptinformed of this fast-moving market segment. 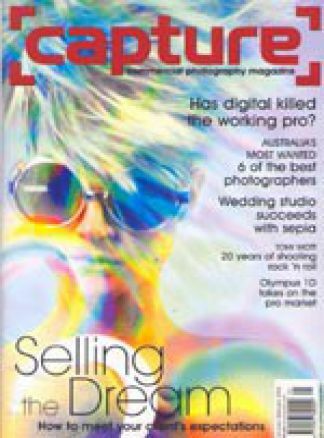 [Capture] is the only audited professional photographic magazine in Australia.